Solve "Ping:transmit failed, error code 1314"
Yesterday night I was disconnected from the Internet connection. As the first step of troubleshooting, I tried to ping Google from my computer. I couldn't ping Google successfully due to an error message. I could fix the problem quickly but decided to write a tutorial about this new ping error code 1314. This tutorial explains what is ping error code 1314 and how to solve it. 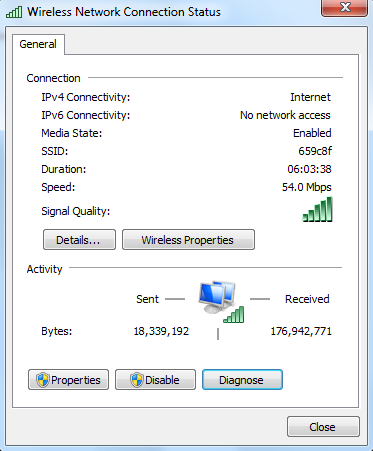 Here I copy the result of my ping test on the command prompt. Out of four packets send, only one could reach successfully. It means packets lost. I just disabled the firewall on my computer and tried to ping Google again. It worked fine and the issue was fixed. Here is the command prompt screenshot of the ping test after disabling Firewall. I fixed ping error code 1314 by simply turning off the Firewall protection on my PC. However, if it doesn't solve the issue, you may have to use diagnose button on the adapter properties window. Windows will automatically check for the reason behind the issue and fix it. To go to the diagnose button, follow the instructions below.